Cardiff is set to be the UK hub for Islamic Finance education, in a new venture which sees Cardiff Business School collaborate with the Islamic Banking and Finance Institute in Malaysia (IBFIM) and the Islamic Banking and Finance Centre (IBFC UK). Earlier this week, at the Lord Mayor of the City of London’s home residence, Mansion House, the Islamic Finance Training Programme for Professionals was launched, aiming to assist financial organizations aspiring to offer Islamic Banking courses of products. – “Executive Programme” – to address the training needs of organisations, financial institutions and the professionals who are either already in industry, or are aspiring to launch in this sector. – “Train the Trainer” Programme –an accredited programme to create qualified trainers, to help deliver training in the Islamic banking & finance sector. – “Regulatory Framework Programme” – addressing the training needs of the regulatory authorities and professional bodies like the FSA and Securities and Exchange Commissions, Insurance. 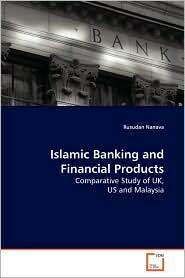 Islamic Finance has experienced an enormous rise in popularity as an alternative banking system over recent years. The underlying principle that governs Islamic banking is mutual risk and profit sharing between parties, the assurance of fairness for all and that transactions are based on an underlying business activity or asset. The Islamic Finance Sector is expanding at an exponential rate and is now estimated to be worth $1.2 trillion globally and growing faster than any of the conventional banks, between 15-20%. IFBC-UK is one of the first institutions in Europe to offer provision in Islamic Finance executive education. Established in partnership with Islamic Banking & Finance Institute in Malaysia (IBFIM) and Cardiff University’s Business School and Centre of Islam, it is recognised as one of the leading training centres in the UK, with an international reputation for delivering high quality training courses and research for the public and private organisations in Islamic Banking and Finance. Its clients include public and private banks, corporations, insurance companies and academic institutions. The Lord Mayor of the City of London, Alderman Ian Luder, pledged his support on the day and discussed with key financial figureheads from across Europe, including members of the House of Lords, Treasury, Chamber of Commerce and FSA, how Wales’ first Islamic Financial Programme for Professionals will benefit the UK economy. Ieuan Wyn Jones, Minister for the Economy and Transport of the Welsh Assembly Government described the announcement as a particularly significant breakthrough for Wales in reaching out to new financial markets. Aliyu D. Muhammad, PhD (Economics) Candidate, International Islamic University Malaysia (IIUM), holds Master of Economics (IIUM) in 2008, Studied (B.Sc) Economics at Bayero University Kano, Nigeria. His major area of interests are Economic Development, and Islamic Economics and Finance. Poverty has long been among the most difficult problems, especially in the developing countries. Of late, microfinance emerged as an important instrument to mitigate poverty. Today there are more than 7000 micro lending organizations providing loans to more than 25 million poor individuals across the world.However, these institutions face many challenges on way to success. The existing microfinance in Nigeria serves less than 1 million people out of 40 million needing the service. The aggregate micro credit facilities in Nigeria,account for about 0.2 percent of GDP and less than 1 percent of total credit in the economy. We have documented that conventional microfinance institutions charge very high interest rate on loans they grant but pay much lower rates for saving deposits. This aggravates the existing inequitable distribution of wealth and income in Nigeria. Nigeria being a country with a sizeable Muslim majority has bright chances to impact poverty through Islamic microfinance. This book proposes an Islamic version of microfinance in the country.The book is useful for academicians and practitioners working on poverty and microfinance. Islamic Finance and Banking has turned out to be a buzzword with many institutions and companies wanting to benefit from the gigantic potential it has achieved over the last few years. For Islamic Finance to be true to its potential, the adherence to Islamic Sharia Law is of paramount importance. Sharia Law governs Islamic Finance institutions by prohibiting transactions that involve interest, uncertainty, speculation and products that are harmful to society. Islamic Banks are exposed to many risks such as credit risk, market risk, operational risk, liquidity risk etc, but the most vital risk is Sharia Non-Compliance Risk. In Sri Lanka, Amãna Investments has taken all measures in promoting Islamic Finance. It has further strengthened its compliance with Sharia by setting up a new and foolproof Sharia Risk Management Framework (SRMF), in May 2009. “The objective of the SRMF is to ensure a ‘Zero Tolerance’ culture in all our departmental activities” says Moulavi Siraj, Amãna’s in-house Sharia Supervisor. “If we fail to do so, the profit we make would be at risk. We want to ensure that all profits from our advances are pure and eligible for distribution to our depositors”. By implementing a strong Zero Tolerance Sharia culture into its business transactions, Amãna Investments is aiming to fulfill the objectives of Sharia and to reinforce the expectations of its growing customer base with regard to Sharia compliance. “We have identified diverse areas in which Sharia Non-Compliance can occur. Such areas, where instances of non-compliance usually occur due to lack of knowledge, are when following policies and procedures during documentation, and during marketing and selling our products and services” explained Mr. Siraj. He further stated “Amãna has developed a Sharia Risk Management Process which begins with the identification of potential risks by incorporating Sharia risks in the operating manual and the audit process. This will be followed by a process of measuring, monitoring and reporting on the risks. Finally, we will mitigate and control those risks from re-occurrence. For that purpose we have established three lines of defence in the pre-, present- and post-transaction stages”. To streamline the compliance process, the SRMF includes a rating system, the Sharia Risk scorecard, which rates all departments and branches based on their Sharia compliance. This encourages relevant departments and branches to put more emphasis and priority on Sharia. “We always persuade our staff to communicate to our customers the importance of Sharia over profitability” he added. In carrying out and standardising the SRMF, Amãna Investments has continuously counsulted its strategic partner, Bank Islam of Malaysia, and its own Sharia Supervisory Council, consisting of eminent scholars of the calibre of Sheik Taqi Usmani, Mufti Rizwe and Sheik Mubarak. Amãna will look for further guidance from AAOIFI (the Bahrain-based Accounting and Auditing Organisation for Islamic Financial Institutions), as well as the Islamic Financial Services Board (IFSB) of Malaysia. The Islamic Fiqh Academy, which operates from Jeddah and India is also consulted, when necessary. “We also take advice from the All Ceylon Jammiathul Ulama on matters relevant to Sharia” said Mr. Siraj. Mr. Siraj says that “Sharia training is a core requirement for all staff at Amãna. Every new recruit to Amãna is given a thorough Sharia training before being sent out to meet customers. As part of the new SRMF, Amãna Investments will deploy a dedicated officer to supervise the Murabaha product transactions in particular to ensure compliance by customers. By doing so, Amãna will be the first Islamic Finance organisation to take such a responsibility. Amãna Investments currently operates 14 branches in the island, including the central, eastern and southern regions of Sri Lanka. Recently the Central Bank of Sri Lanka issued Amãna Investments a Letter of Provisional Approval under the Banking Act to establish Amãna Bank as the country’s first Islamic Commercial Bank, subject to certain conditions such as raising a minimum capital of Rs.2.5 billion. Amãna’s products are now being transacted by a number of corporate, SME and individual customers, irrespective of their ethnic backgrounds and drawn by the principles of equity, justice and fairplay, by which the institution carries out its business transactions. KUWAIT CITY, Kuwait — The just concluded meeting of the Board of Executive Directors of the Islamic Development Bank (IsDB) has approved more than $575 million in new financing for various projects in Turkmenistan, Iran, Pakistan, Turkey, Bangladesh, Lebanon and Suriname according to a press release from the IsDB. The meeting was held in Ashgabat, the capital of Turkmenistan. The IsDB agreed to an additional US$5.5 million financing for the Suriname towards the upgrading of the New Nickerie Seaport, aimed at reducing the cost of exporting Suriname’s agricultural products to neighbouring countries and at encouraging regional integration through the improvement of infrastructure of the port. This will also improve the navigability of the Nickerie River, according to the press release. The IsDB had earlier allocated US$11 million to the same project, bringing the total financing of the project to US$16.5 million. Suriname became a member of the Organisation of Islamic Conference (OIC) in 1996 and in 1997 joined the IsDB, the only country in Western Hemisphere to belong to this bank. The IsDB has financed various projects in this Dutch-speaking South American country with a Muslim population of about 20 percent. Suriname in the 1990s tried to lessen its economic dependency on the Netherlands, its former colonial master by looking east, to India, China and the Middle East. The desire to diversity sources of financing its economic development motivated Suriname to join the IsDB. To date, the IsDB has funded the upgrading of Suriname’s airport, the building of medical centres in the interior of that country, and the modernizing of Port Nickerie, among other projects to the tune of about $50 million. Suriname is represented on the Board of Directors by a Governor, Andre Telting, President of the Central Bank of Suriname, and an Alternate Governor, that position is currently vacant. The Board of Executive Directors represent various grouping of countries and Suriname is grouped with Malaysia, Indonesia and Brunei under the direction of Haji Junaidi bin Haji Hashim of Brunei.